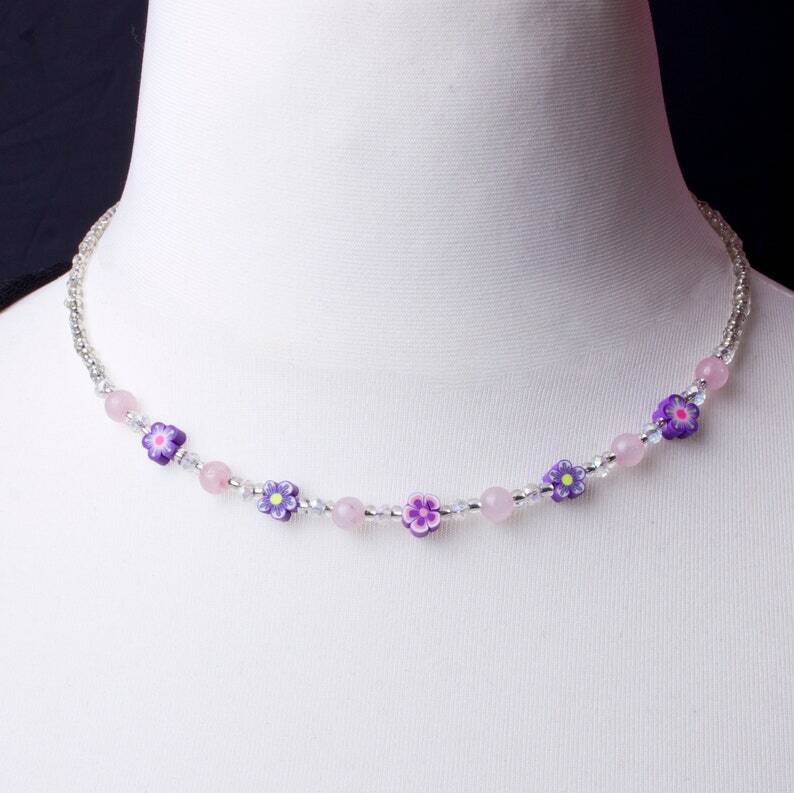 A pretty combination of rose quartz and purple polymer flowers with iridescent glass beads. Strung with silver lined beads and fastens with a toggle clasp. Approximately 18 inches long.